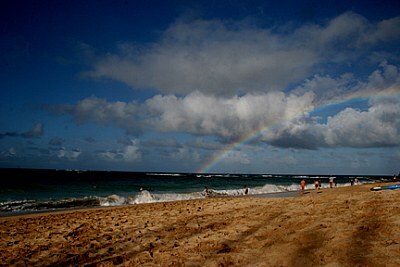 About Christmas day on Baldwin Beach in Maui with a rainbow thrown in. Perfect holiday. wooww.. a very powerful happy moment..